Simone May, a doctoral student in the College of Education’s Department of Special Education, Rehabilitation, and Counseling (SERC), was recently selected as a Leadership Fellow in Chi Sigma Iota, the national counseling honor society. This is a highly competitive national award that recognizes students who have demonstrated potential through engagement in leadership, advocacy, and professional engagement in Counselor Education. May was one of only 10 students selected nationally for this award. For a class assignment as a senior at Georgia, May interviewed a counselor, because that’s what she knew she wanted to do. That counselor happened to be an Auburn grad who spoke highly of his alma mater and its outstanding counseling program. May kept that in mind and when she graduated she made Auburn her top choice. She received her master’s in Clinical Mental Health Counseling, and is now in the Counselor Education and Supervision doctorate program. May has interned with the Young Women’s Leadership Program, where she helped facilitate weekly Big Sister/Little Sister meetings. 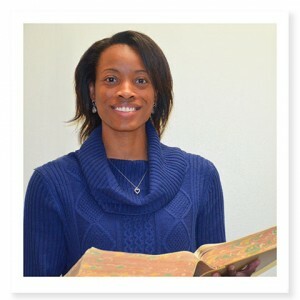 She has also volunteered for college preparatory work at Loachapoka High School, and presently serves as a graduate student council representative. As a previous member of Auburn’s chapter of Chi Sigma Iota, Simone has served as a co-newsletter editor, served on the mentorship committee, and is currently the co-president. …I appreciate the opportunities that have come my way, and love Auburn for it.